Meadows Dental Group is proud of its status as the first dental office in Lone Tree and a fixture of the community. We have the long-term patient relationships to prove it, with a number of individuals, families and even multiple generations coming to us for dental care. Meadows Dental Group has a reputation for delivering quality care. For many patients, this begins with an appointment for a cleaning and exam, then evolves organically through subsequent visits. 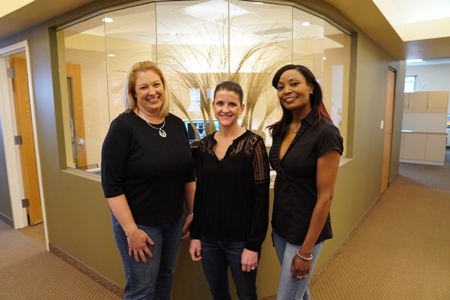 If you are looking for a dentist in the Lone Tree, Highlands Ranch or Centennial area, our team provides you and your family with a warm welcome. Call 303-790-2323 to schedule your appointment! The best way to maintain your dental health and avoid issues is to visit your dentist every 6 months. During these visits, our hygienists will perform a thorough cleaning and our dentists will evaluate you for issues like cavities, gum disease and more. Problems with the teeth and gums don’t follow a schedule. Patients of record can count on our dentists to provide accommodating emergency dentistry treatment in the event of an accident or illness. At Meadows Dental Group, our warm, welcoming office environment is designed to put both adults and kids at ease. We recognize how important it is to ease children into visiting the dentist. Our dentists generally start seeing kids aged 3 and older. The initial appointment is a “happy visit” where the young patient and his/her parents get to experience the office and feel comfortable. None of our team members push procedures at this visit, instead focusing on education and only performing procedures based on what your child allows us to do. Children’s dentistry requires a delicate approach. We have decades of experience helping kids and their families feel at home, and the patients have made us part of their lives in turn. There are many reasons patients avoid going to the dentist. One of the biggest reasons is that some dentists make them feel bad about the condition of their teeth. Meadows Dental Group is a judgment-free zone. We are focused on helping you toward the best outcome, not applying guilt about the state of your oral health or pressuring you into certain procedures. Your oral health is a partnership between you, our hygienists and the dentist. If you need advanced treatment, we never hesitate to refer you to a qualified specialist. We also work closely with an outstanding dental lab in the Denver area that delivers high-quality restorations for dental implants and other procedures. 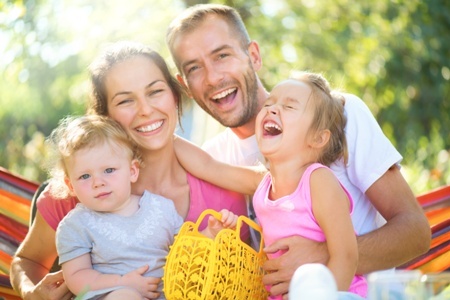 Learn about our general and family dentistry options by calling 303-790-2323 today. You may be eligible for a free limited consultation if you need only one X-ray or require treatment for a single tooth or one area of the mouth. Additional imaging and examination are subject to standard fees. Find out if you are eligible.